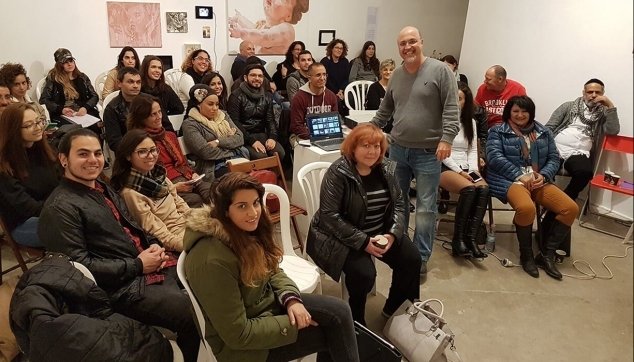 This master class in mural painting meets 32 times over the course of 6 months and covered everything about creating a beautiful mural, from the basic equipment to effects and finishing touches to building your own business. All painting will be done using a spray gun. Students will use and master this professional airbrush tool, which lets us achieve beautiful results and finishes on countless surfaces. 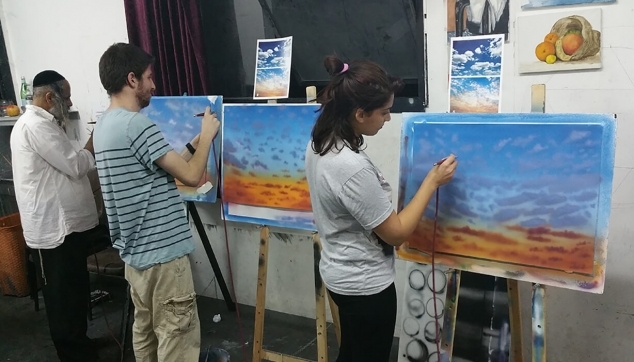 The effects the artist can create using the airbrush tool go beyond what he can do with the usual paintbrush. 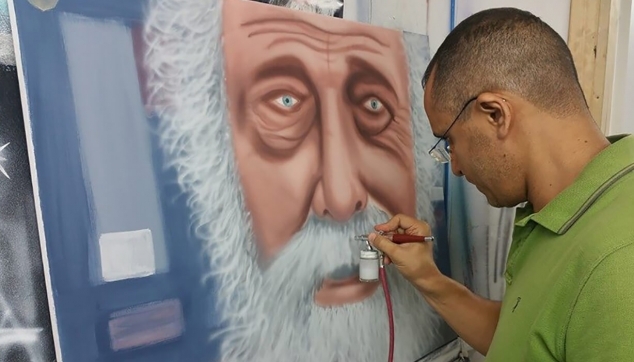 The airbrush technique is the muralist’s bread and butter. B. 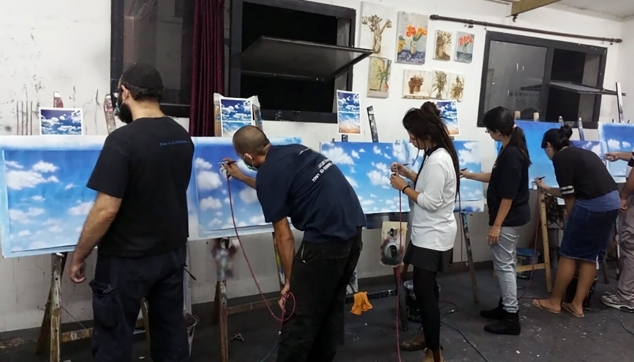 Meetings 9-24: Learning airbrushing effects (sky, space, underwater, wood grain, stone texture, fabric, etc. ), children’s room murals, wall tears, optical windows, depth and perspective illusions, underwater scenes, etc. 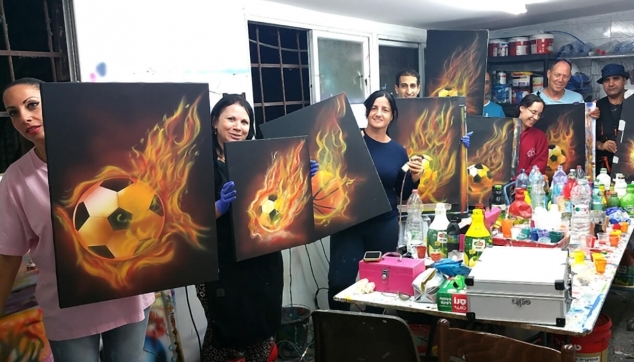 C. Meetings 25-32: Portfolio development, building a business model, visit to a professional paint store. Enrolled students will receive a detailed syllabus. Changes to the syllabus may be made throughout the class to accommodate students’ personal development. This is a fun and rewarding class with only a small amount of students in order to deepen our experience. 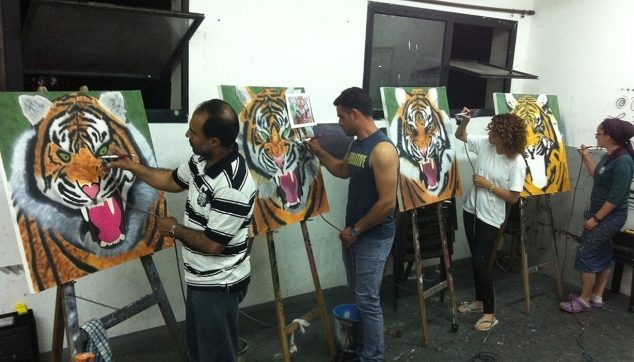 At the class’ completion students will receive a diploma demonstrating their proficiency in professional mural painting.